We spotted a new version of the TMS-Bikevision flagship model at the French Cup round in Super Besses: The Evo 3 “Black Edition”. Just 30 of this new model have been produced, most of which will go to the Co-Factory Team, to set them apart from the crowd, but it will still be possible to acquire one while stocks last. 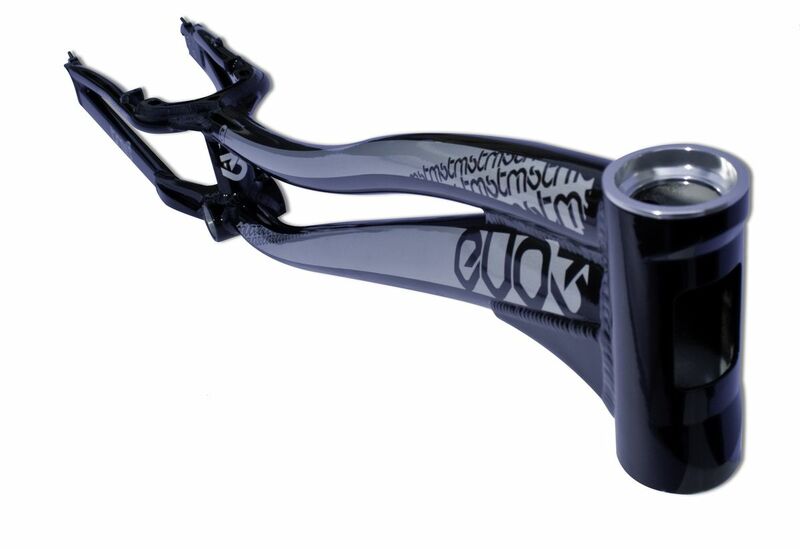 The frame is the same as the basic Evo 3 (7005 aluminium, the distinctive curved tubes, cut-away headtube, CNC yoke and booster, integrated Quick tensioner Concept chain tensioner). Only the chain stays are different; they have been shortened from 377mm to 375mm, although the total wheelbase will remain at 1085mm. 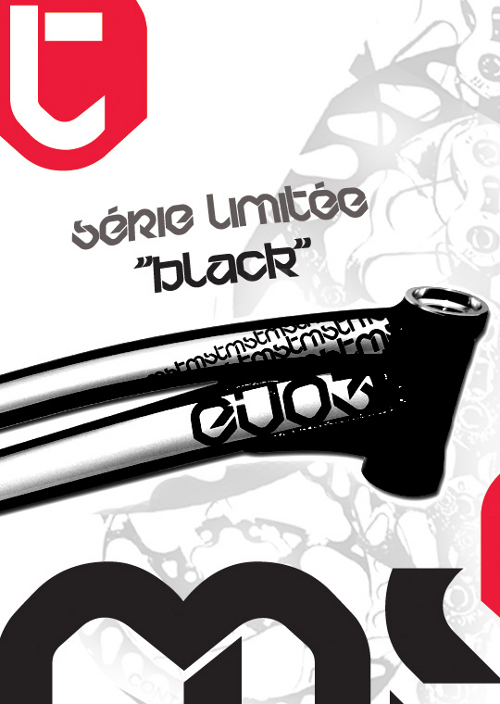 The price also remains the same: €790 for the frame and €890 for the frame and fork. 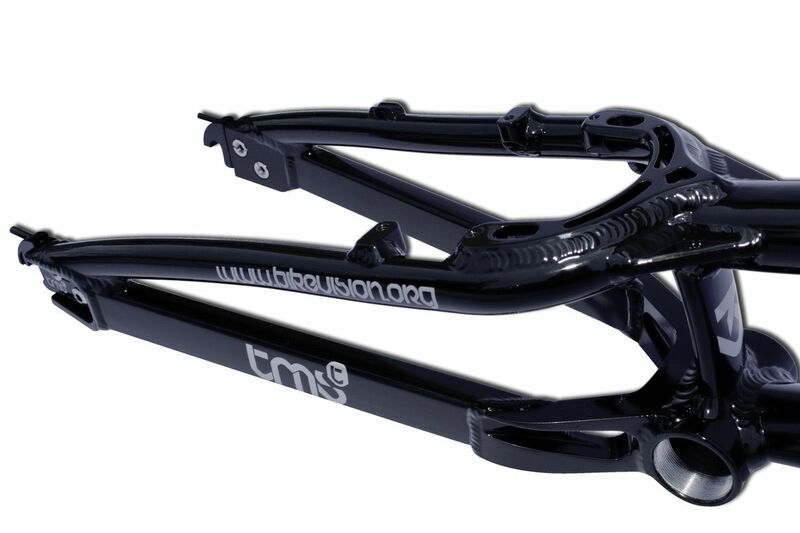 It weighs in at 1.78kg for the frame and is sold with a TMS 73 x 140mm BB and a semi-integrated sealed headset. It is already available from the TMS Pro Shop! The summer sales are on at K-124 House... Our partners have dropped the prices on a whole range of products; full bikes as well as components! The trials community is in mourning at the loss of an enthusiastic, telented and universally-liked rider: Gavin Bedford was buried on Wednesday. Here’s the programme for the fifth edition of the Dressler Camp, with will take place this year from the 1st to the 6th July 2010 in Tanvald. The motto of this trials festival is "Trials, Fun and Rock’n Roll"! Young Romanian rider Orban-Barra Gabor has sent us a new video of his progression on his new Grey Sky, built up with the latest Try-All fork and Try-All light tyres. Aurélien and Cédric Fontenoy are two seasoned Elite competitors. They are also talented showmen who put on demos in front of large audiences under the guise of Team Fontenoy VTS! A few months ago we discovered, to our surprise, that there is a thriving street trials scene in Iran. Now here are some images from a competityion that took place not long ago in Tehran! France’s No.1 MTB site, Vélo Vert, sent some of their staff to the French Cup round at Cerny last week. They have recently uploaded their photo-report from the event. Here’s an eight minute TV report by Spaik Video, plunging us into the heart of the Elite competition of the 1st round of the World Cup... Ripoll as if you were really there! Results, photos and a full report from this year’s British Trials Championship and the third round of the British Trials Cup, which took place on Saturday 4th June alongside the UCI Downhill and 4X World Cup in Fort William. More results and photos from the first round of the French Cup, which took place this weekend at the Cerny Trials Club... Benjamin Durville took the win in National, with Valentin Gaucher and Gilles Coustellier taking top honours in Expert and Elite! The 2010 Subaru French Trials Cup opened this weekend at Cerny trials club in the Ile-de-France region. Jérémy Descloux took the win in R1 category, Marion Porcher won the women’s competition, Ludwig Giller won in R2 and Louis Grillon finished first in youth category. The second round of the British National Trials Cup tookplace on Sunday 16th May at a very windy Addingham Moorside. Results and photos this way! The fifth an final instalment of Nico Bahro’s series of excellent galleries form K-124 days 2010! Action photos are the order of the day, and there are some cracking shots! 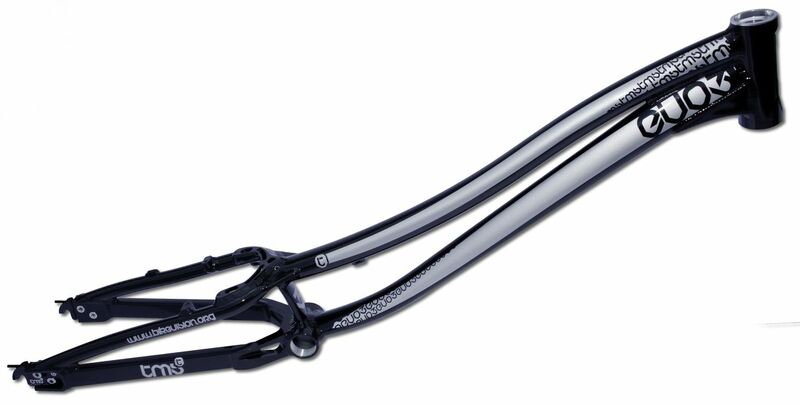 A sneak preview of the 2011 Speed Race Solo 26”, which has been updated extensively over the 2010 model and looks set to rival even the top brands’ frames! New Inspired website and Sean Watson Brakeless Video! Inspired Bicycles have launched their new website and it looks very swish indeed! To mark the occasion, they have released a video of team rider Sean Watson, featuring some impressive brakeless riding!